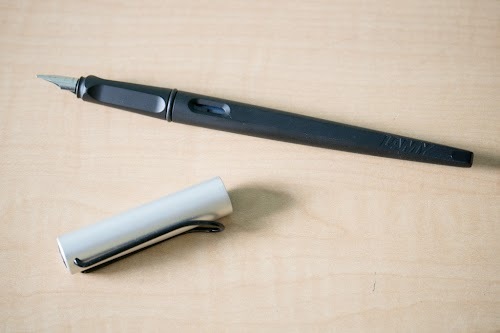 This is the Lamy Joy calligraphy fountain pen that I borrowed for review. 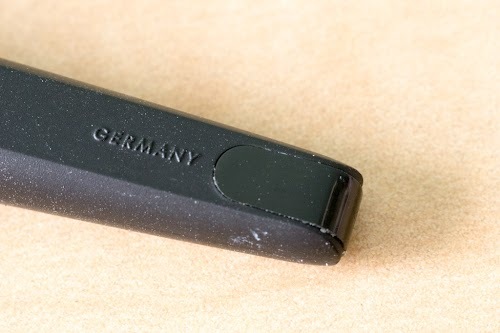 It's priced higher than the Lamy Safari by a few dollars, but it's still under USD $30. The Pilot Parallel Pens which are also calligraphy pens are slightly cheaper. 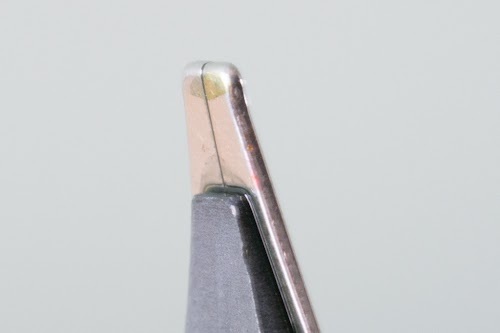 Lamy Joy has a longer body than Lamy Safari (Demonstrator) shown at the bottom. The body tapers towards the end. 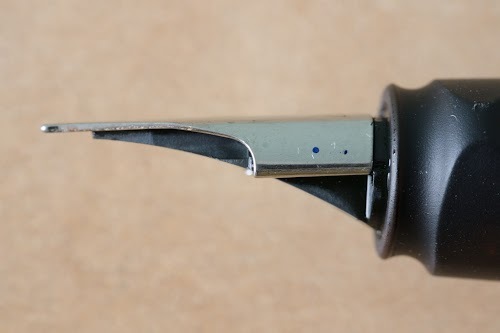 Like most Lamy fountain pens, the grip section is designed in triangular manner to fit the fingers what hold it. 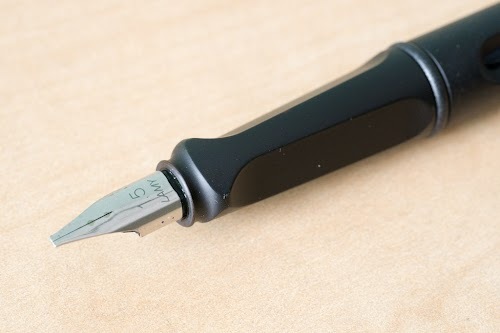 The nib is well rounded and writes smoothly. On the body are two holes, one on each side, that you can look into to see the ink remaining. 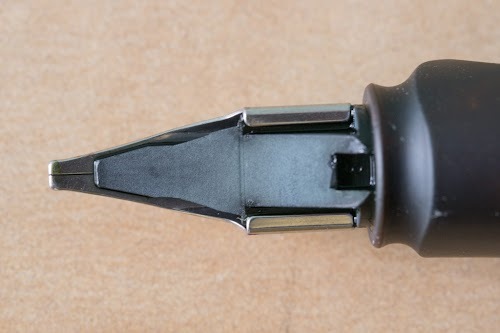 This is the tapered end of Lamy Joy. 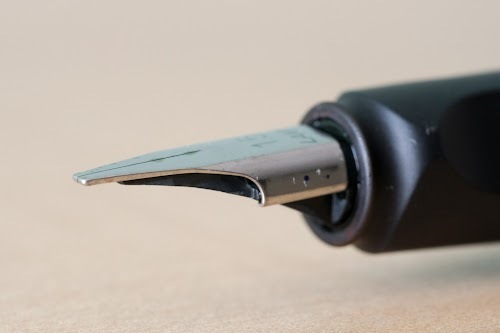 You can use disposable ink cartridges or a standard Lamy converter Z24. 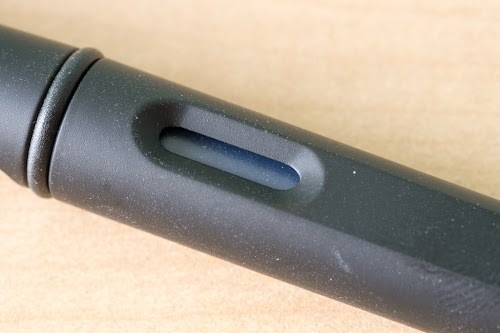 The convertor will have a small knob that fits to the slot on the fountain pen. I don't particularly enjoy drawing with calligraphy pens in general because usually these pens are designed for calligraphy and lettering purposes. Ink flow is good with downward motion and not so good when going sideways. 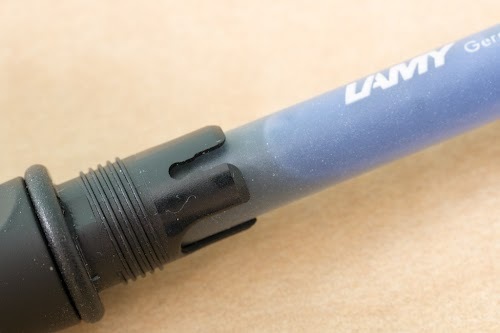 The blue ink used in these sketches are from the default Lamy ink cartridges. Ink flow depends on the ink you're using too. The green shade is from the Pilot Iroshizuku Chiku-Rin which flows much better than the Lamy ink provided. 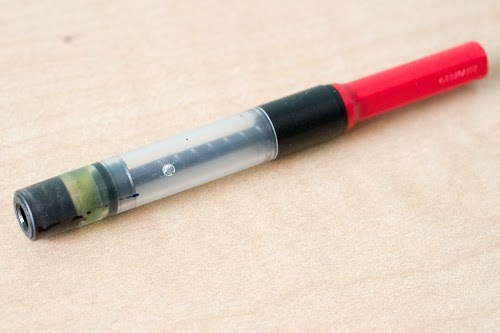 Here the Lamy ink can go dry at times. I've compared with other inks so it's most likely an issue with the ink. 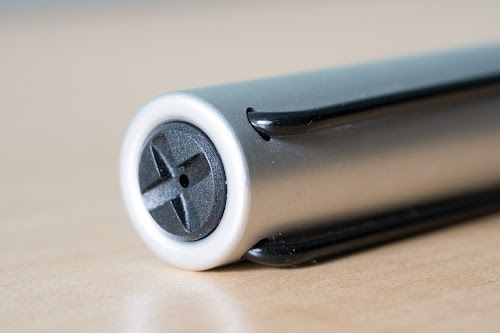 The Lamy Joy works best when it's held as vertically as possible. Here are some writing samples with other calligraphy-like pens. The red ink is from the Pilot Parallel and orange from the Platinum 3776 with a music nib. 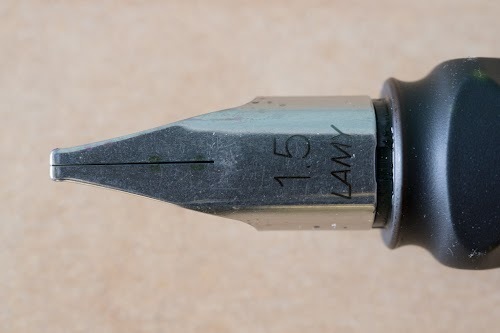 The music nib is smaller than 1.5mm. 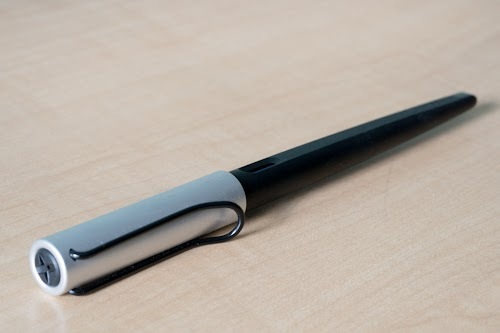 The Lamy Joy is a simple looking pen just the way I like it. For calligraphy purposes, I suggest you use more watery ink for better ink flow. 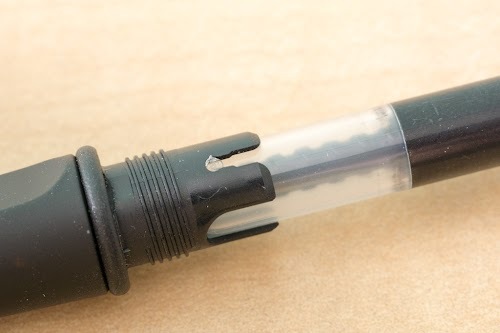 This pen uses an ink cartridge filling system so you should use a good ink for optimal performance. 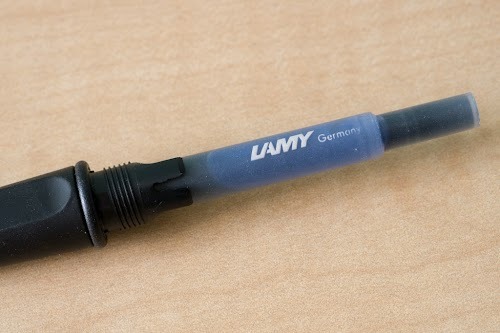 Definitely get the Lamy convertor to refill with your own ink. That way you can use other colours for your lettering.